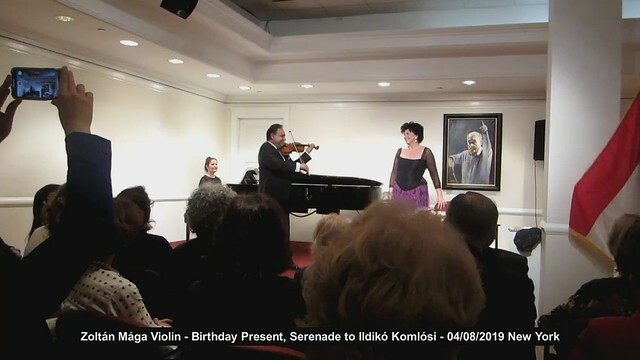 Ildikó Komlósi is a world wide famous Hungarian mezzo-soprano – celebrated her birthday in New York with a concert at 04/08/2019. Zoltan Maga a famous Hungarian violinist played, as a Birthday Present a Serenade to Ildikó Komlósi. This entry was posted in Music, New York, TomBarat US Photos and tagged Ildiko Komlosi, Music, Zoltan Maga.